It's called mTor-p70s6k, and these muscle cell molecules are a GENETIC SWITCH that tells muscle cells to BUILD! BCAAs in a 45:30:25 at a dose 8,180 mg (8.18 g) ratio stimulates this specific muscle building machinery! That's the precise dosage and ratio of (BCAAs) in AMINOCORE™. Every supplement buyer should always ask, "That's great in a lab, but if I take it, will it work?" The answer is YES! 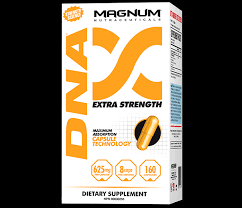 Oral liquid supplementation of 8.18 g of 45:30:25 ratio BCAAs boosted BCAA concentration in muscle cells and activated the mTor-p70S6k anabolic signal. This confirms that drinking your BCAAs (as in AMINOCORE) in a soluble liquid form replicates the research! * You can literally implement this groundbreaking technology TODAY! AMINOCORE™ reduces catabolic muscle loss. 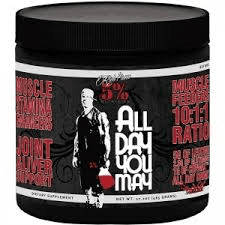 * Two specific highly catabolic molecules, MAFbx and MuRF-1 increase in muscle cells while working out, they lock on to muscle cells and act like a shredder - literally deconstructing muscle tissue. Research suggests a decrease in muscle loss with AMINOCORE™. This knowledge gives you the power to reduce catabolic muscle loss. * This is the number one reason that many people who hit the gym cannot gain or hang on to significant muscle size. Caloric restriction, limiting carbs, increased cardio intensity; all essential for effective dieting, and all rapid ways to breakdown and flush away muscle. The muscle tissue breakdown that takes place when you're dieting reduces your metabolism and your ability to burn calories. Taking AMINOCORE™ feeds your muscles directly even while dieting and limits muscle deterioration. * The net effect; you retain muscle, melt fat and maintain a higher metabolism. * AMINOCORE™ the dieting secret you've been looking for. AMINOCORE™ has Myotrisol™; a cutting-edge solubility technology to BCAA dosage administration. Aside from being the purest Pharmaceutical-Grade BCAAs, our Myotrisol™ process FLASH-FREEZE-DRIES our 45:30:25 BCAA powder to create a truly soluble and easily-mixed BCAA drink that absorbs in a truly liquid form. Why settle for other non-instant BCAAs that do not dissolve and remain stuck to the side of your shaker? AMINOCORE™ not only tastes unbelievably good, it also mixes so well that you won't need to scrape the sides of your shaker to make sure that you get your BCAAs! When you're comparing one BCAA to the other, look closely at the formula - does it include glutamine passed off as real BCAAs? AMINOCORE™ has a completely transparent label protocol. We show you precise BCAA amounts. Glutamine has its place, but it is NOT a Branched Chain Amino Acid (BCAA). AMINOCORE™ includes 8,180 mg of REAL instantized BCAAs not glutamine. AMINOCORE™ is 100% PURE, FERMENTATION-DERIVED, PHARMACEUTICAL-GRADE, 45:30:25 ratio BCAAs (non-fermentation source BCAAs can be from human hair and duck feathers – be aware of the difference!). With added Alpha-Ketoisocaproic acid (α-KIC) to further enhance the buffering of lactic acid (muscle toxin) and increase the levels of L-Leucine at the site of muscle. AMINOCORE™ contains additional highly bioavailable B-Vitamins (like Methylcobalamin, Pyridoxal-5'-Phosphate (P5P), BioB9™) not only enhance the anabolic environment, they help to release additional metabolic energy. Based on science, trusted by top PROs and Gym Tested. AMINOCORE™ is a game-changer. Significantly More Effective Antioxidant Delivery For Maximum Effects! R-ALA Complex is a scientifically proven nutrient delivery and antioxidant complex. Unlike competitive ALA, this complex supplies 125mg of the active R(+) isomer, the pure mitochondrial form of ALA Naturally found in the human body. This specific isomer is the extract fort linked to the beneficial properties of alpha lipoic acid. Commercially available ALA products on the market today consist almost entirely of the S(-) isomer of alpha lipoic acid. These inferior products have significantly weaker nutrient delivery and antioxidant properties. If your ALA product does not include the R(+) isomer of ALA, make the switch to R-ALA complex today. 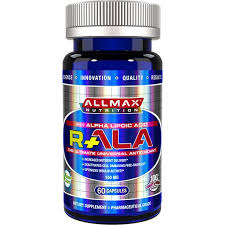 Directions For AllMax Nutrition R-ALA Complex: Take 1-2 capsules of R-ALA Complex 2-3 times daily with food. AMINO FREAK™ is the most complete amino acid formula of its kind. It’s true! Each of the 5 ingredient complexes that make up the AMINO FREAK™ formula, are designed to work in unison to support performance, growth and recovery. The AMINO FREAK™ formula combines the sports nutrition industry’s most heavily researched amino acids into one complete formula. Powerful stuff! WHAT MAKES THE NEW AMINO FREAK™ SO COMPLETE? AMINO FREAK™'s ingredient complexes work to support performance, growth, and recovery by 1) supporting up-regulation of key anabolic hormone receptors, 2) supporting protein synthesis and amino acid uptake, 3) helping reduce muscle protein breakdown and 4) maintaining healthy cortisol levels. Carnitine supplementation combined with intense training, has been shown to support healthy testosterone levels, post-workout. This is achieved via interactions with the abundance of testosterone receptors inside muscle cells. Studies also show that carnitine can influence growth hormone receptors and IGF-1 levels. In addition to its effects on muscle-building hormones, carnitine can further support muscle growth and recovery by decreasing the production of free radicals. By neutralizing the negative effects of free radicals, carnitine has the ability to further reduce muscle tissue damage and soreness after exercise, while improving overall muscle cell biomechanics. Carnitine can support exercise and athletic performance by way of its actions on muscle glycogen storage and ATP production. Carnitine also supports performance by improving the buffering capacity of muscles during exercise by maintaining the pH balance inside the muscle, and by minimizing the build up of hydrogen ions. 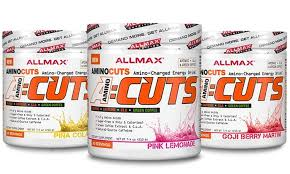 Branched-Chain Amino Acids (BCAAs) play a key role in protein synthesis (a.k.a. muscle growth). A countless number of scientific studies have confirmed the effects that BCAAs have on muscle growth at the cellular level. nervous system (CNS) fatigue during intense exercise. Glutamine is the most abundant free amino acid in the body and research shows that intense exercise can decrease plasma glutamine levels, impedingrecovery. Scientists believe that a decline in glutamine levels can cause a cascade of negative effects, which can easily be corrected with glutamine supplementation. proper hydration of muscle cells. L-theanine is a unique free form amino acid with anti-catabolic properties. 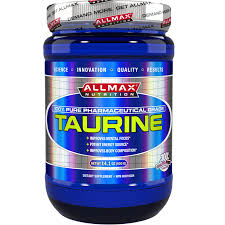 Research studies show that oral administration of L-theanine can increase the production of alpha waves in the brain, reducing catabolic hormone release and prevent muscle breakdown. AstraGin is a natural compound composed of highly fractionated astragalus and Panax notoginseng. Multiple proprietary studies conducted by the makers of AstraGin, NuLiv Science, have demonstrated that it can support the absorption of amino acids. This unique ingredient complex helps ensure you get the most out of the 6 key amino acids found in the AMINO FREAK formula! Microcrystalline Cellulose, Dicalcium Phosphate, Stearic Acid, Magnesium Stearate, Silicon dioxide, Croscarmellose Sodium.